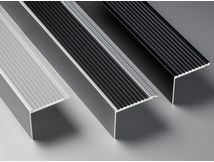 Gooding Aluminium offers a variety of aluminium stair nosing designs to suit all applications. 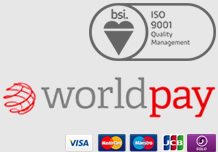 Our ‘Step-Up Stair Trims’ and our ‘Premium’ range are ‘secretly fixed’ and available in a range of tread designs and ‘back edge’ details. 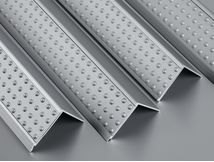 GA’s Stair Nosing provides a cost effective yet supremely stylish method of finishing commercial stairways and can be supplied with a wide selection of infills. The range available from Gooding Aluminium offers a truly original alternative to conventional aluminium stair treads and are suitable for a broad range of internal applications. 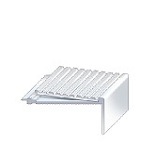 These innovative stair nosings are available in either Ano-Sil anodised or mill finish. 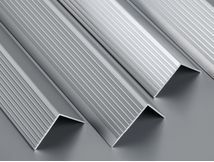 (Ano-Sil Anodised is a smooth matt satin finish and Mill is the untreated option). 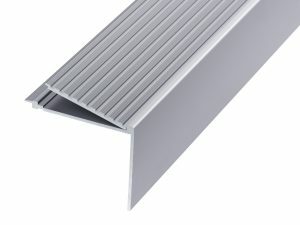 All of our stair trims can be effortlessly incorporated into both new build and refurbishment projects. 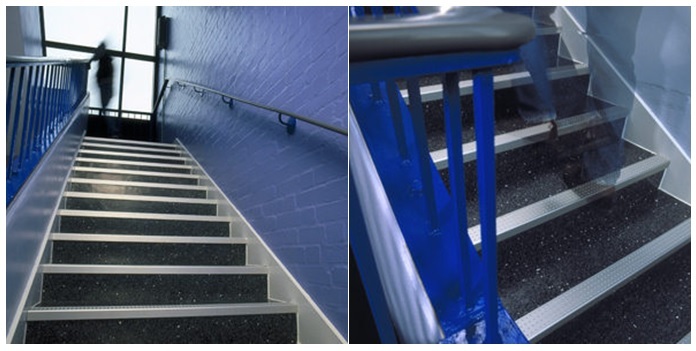 Elegant and hard wearing these ‘invisibly fixed’ stair nosings are finished in anodised aluminium. 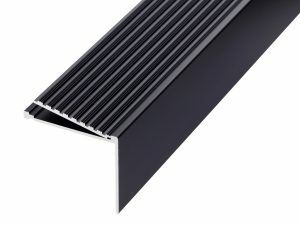 You can select from the following anodised finishes, these are; Natural, Black and Natural/Black. 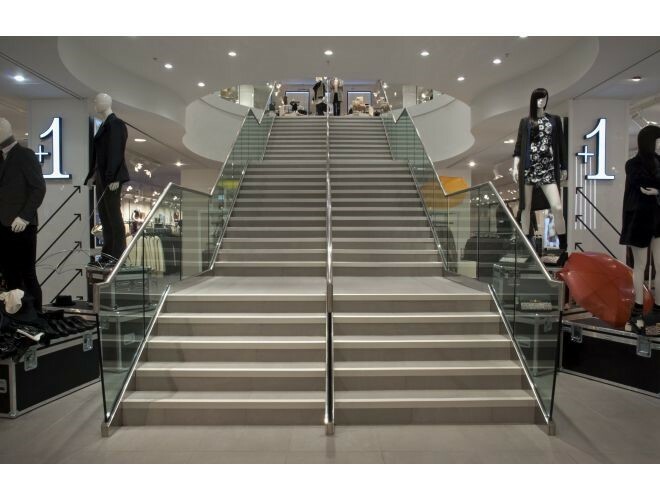 Premium stair nosings are available with a selection of back edge options for integration with different types of floor coverings. According to building regulations stairs, ladders and ramps have to be designed, constructed and installed in a way that is safe for people moving between different levels in or about the building. 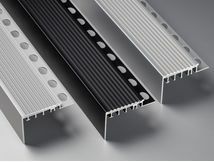 Gooding Aluminium therefore takes a deeper look at regulations to help ensure specifiers are compliant when installing aluminium stair nosings. 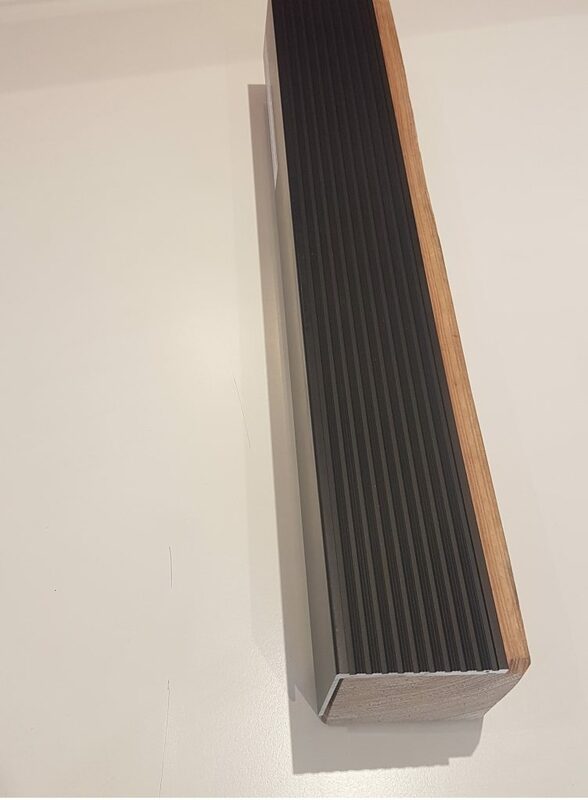 According to Building Regulations (K&M), BS8300 and BS9266, the recommended dimension of a stair nosing should measure between 50-65mm and the riser 30-55mm. This ensures there is a large enough ‘band’ on the nose of the step. Building Regs (K&M), BS8300 and BS9266 explain that the colour of the Stair Nosing is required to differ from that of the floor covering. Every colour has a Light Reflectance Value (LRV) of between 0 (Black) and 100 (White). The documents indicate that there should be at least 30 points difference between the Stair Nosing LRV and that of the floor covering, e.g. 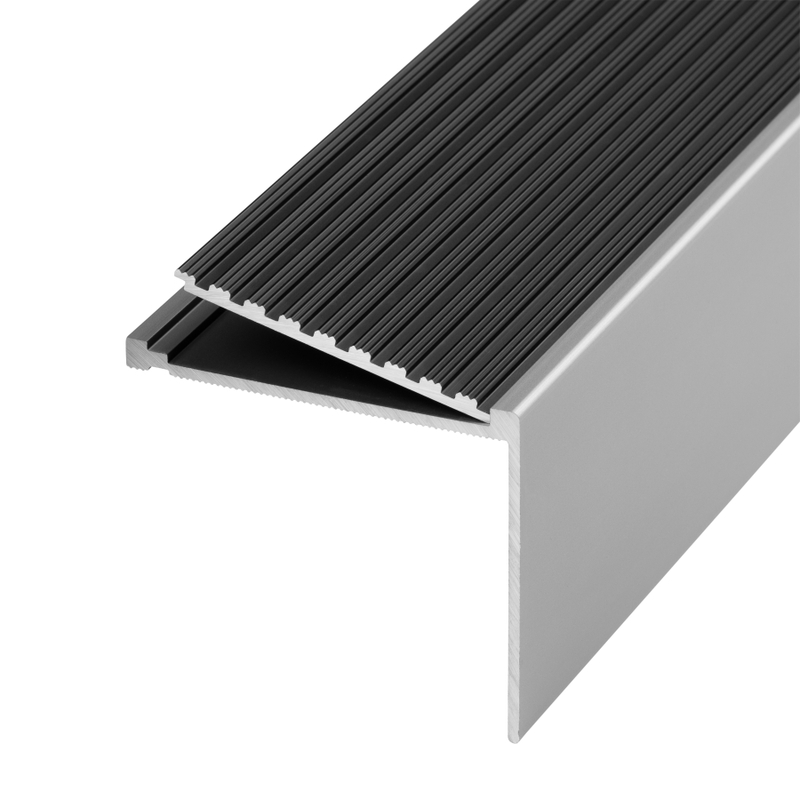 If the floor covering has a LRV of 50, then the Stair Nosing should have a LRV of between 0-20 or 80-100. This helps create the ‘ladder effect’. 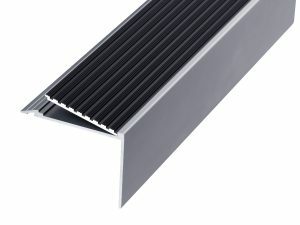 The tread material used in a Stair Nosing is important for the safety and performance of a stairway. There are two recommended tests that can be carried out to determine the slip resistance of a flooring material. The pendulum test (PTV) and a surface micro roughness measurement (Rz). Either of these can be used to give an indication of the slip resistance of a material, although the Pendulum method is limited in so far as it cannot be used to test material on site.